The big bear hug Friends of the River Founder, Mark DuBois, is giving Emily, Scott and Adrienne Underwood is more than just a thank you. It helps ensure that our company will be a river conservation powerhouse for years to come. Those of us fortunate enough to have experienced the Camp 9 section of the Stanislaus River near Angels Camp in the early 1970s remember the exciting rapids, the towering limestone cliffs, the caves decorated with Native American petroglyphs and the stunning beauty of Rose Creek. Like Yosemite Valley or the Grand Canyon, Sierra Rivers are world treasures that deserve to be protected! Tragically, the Stanislaus, the most popular whitewater river in the West at the time, was destroyed by a dam in the next decade. 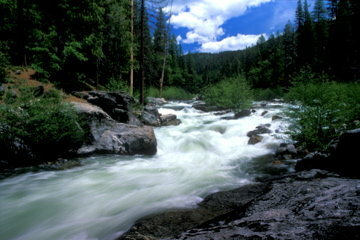 Next came the realization that all the remaining rivers in the Sierras are threatened. That was how our original river company, Scott Free River Expeditions, was born. Its purpose was to help California’s rivers get off “Scot-free”, and when Mother Lode and Scott Free joined in 1984, the need could not have been greater! The 2018 rafting season marked three important victories for Mother Lode’s river conservation effort. First, if you wrote one of the 2400 letters in support of the Mokelumne River, congratulations and thank you! 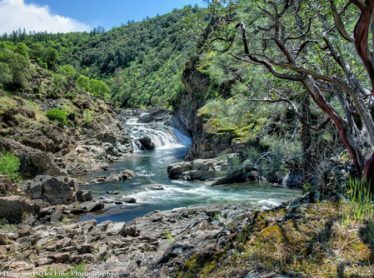 The Mokelumne was given permanent protection under the California Wild and Scenic Rivers Act in June of 2018. This successfully concluding a 40 year effort by the Foothill Conservancy, Friends of the River, and the entire river community. Second, if you wrote one of the 1200 letters written to the Nevada Irrigation District Board opposing the Centennial Dam project on the Bear River, you will be pleased to learn that the State Water Board ruled the Centennial Dam project to “be of no significant public benefit” and denied it funding. Nevertheless, the fight continues, and SYRCL will need our continued support again this season on the Bear River. Third, 2018 marked the 50th Anniversary of the Federal Wild and Scenic Rivers Act, a great victory for river conservation nationwide. Yet without the public’s support, there would be no rivers protected under this act. Designation as Wild and Scenic requires that you, our rivers’ protectors, show up and tell your legislators how much you love your rivers! 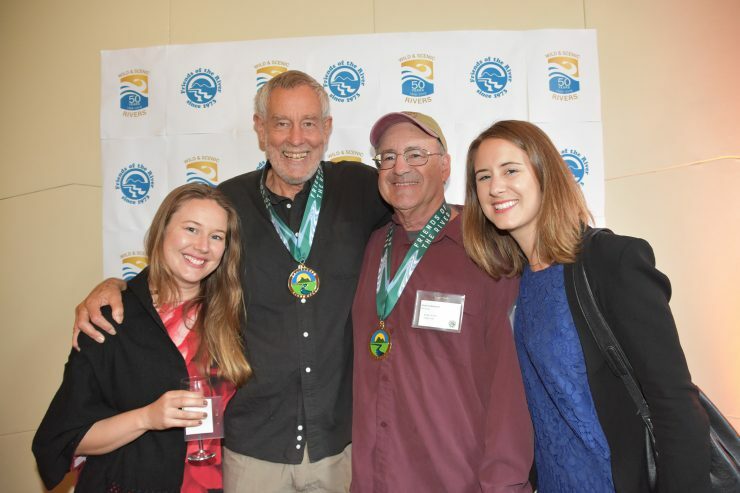 With this in mind, Friends of the River, California’s foremost grass roots river conservation organization, held its annual California River Awards banquet on October 20, 2018 to recognize as “River Heroes” such conservation advocates as former President Carter, California Gov. Brown, Mark DuBois, Steve Evans, Ron Stork…...and yes, the Mother Lode River Heroes…you! Over 40 years, 29,000 letters,15 different rivers- it is a great record, and you own it. Without such efforts the North, Middle or South Fork of the American River would likely no longer exist. Similarly, the Consumnes, Eel, Trinity, Yuba, Merced, Tuolumne, Mokelumne, Kings, Kern, Sespe, Cache Creek, the Bear…the list seems long, until you realize there are already over 1400 dams in California and only 5% of our rivers are actually protected. The threat continues, so thank you for caring. We look forward to seeing you on your rivers again this season! We are pleased to report that because of all the hard work you helped us do supporting the Alternative Proposal during the FERC relicensing on the South Fork, there will be at least a minimum of 5 days of guaranteed robust rafting flows on the South Fork of the American River this season. It is also likely there will be similar flows on the Middle Fork. So come join us this season and write a letter in support of your rivers. Be a river hero! Mother Lode: More than a rafting company……. California’s foremost grassroots river conservation organization. Formed in 1973 during the unsuccessful struggle to save the Stanislaus River, FOR emerged from that effort determined to lead an awakening that opposed the series of dams proposed on virtually every river in California. The Eel River, the North, Middle and South Forks of the American, Yuba, Mokelumne, Consumnes, Tuolumne, Merced, Kings, Kern Rivers, Sespe and Cache Creeks are all examples of rivers and creeks that would have been destroyed without FOR. The success of this effort was inspired by such legends as Mark DuBois, driven by the quiet competence of Ron Stork and Steve Evans, and supported by an army of grassroots volunteers and supporters. The result has been that no California River has been dammed since the Stanislaus, serving as testimony to the power and courage of an aroused citizenry in the face of seemingly overwhelming odds. This effort has inspired similar efforts nationally and internationally. After serving on the Board of Directors of FOR for a decade during its early formative period and then following it closely over time, I am convinced this organization deserves our support. We urge you to join and support Friends of the River which continues to be the voice of California river conservation in a time when the challenges to rivers are growing rapidly and the need to defend them is greater than ever. SYRCL unites the community to protect and restore the Yuba River. Motivated by the love for this watershed, SYCL advocates powerfully, engages in active stewardship, educates the public, and inspires activism from the Sierra to the sea. SYRCL was founded in 1983 by grassroots activists determined to protect the South Yuba River from dams. Ultimately, SYRCL won permanent protections for 39 miles of the South Yuba River under California’s Wild and Scenic Rivers Act. Today, SYRCL is the central hub of community activism to protect, restore, and celebrate the Yuba River watershed. With over 33 years of achievements, 3,500 members and 1,500 active volunteers, SYRCL is doing great things for the Yuba watershed as well as engaging in the current struggle to oppose the Centennial Dam project on the Bear River. SYRCL is working to restore wild salmon to their native waters, replanting the banks of the Goldfields with trees, and inspiring activism across the globe with its environmental film festival. What if you save a river from dams only to lose its banks to development? This was the dilemma that created the American River Conservancy (ARC) and the video below honoring its 20th Anniversary describes the birth and trajectory of one of California’s most successful land trusts. Mother Lode has been a consistent supporter of the ARC since its formation and its owner, Scott Underwood, served 18 years as a member of its Board. To date the Conservancy has helped preserve over 15,000 acres on the South Fork of the American River alone with the establishment of a multi use trail system that is over 25 miles in length and rapidly gaining popularity. It has also preserved extensive land on the Consumnes River and recently completed a 10,000-acre acquisition to preserve land in the American River watershed at Granite Chief near Lake Tahoe. The Wakamatsu Farm project is another accomplishment that preserves 272 acres of the Tea and Silk Colony of Okei-San in Coloma, the original Japanese colony in America. In addition to historical displays and tours this location now also supports an organic farm supplying produce to the local community through a CSA. Contributions to the ARC are fully tax deductible and the organization has among the lowest administrative overheads of any organization of its kind. PARC sponsors the Confluence Festival, outings and river cleanups. PARC makes public presentations, publishes the American River Guide Book and a seasonal newsletter, and remains alert to the political situation of the canyons. PARC is a member of the American River Coalition, which coordinates American River lobbying efforts. 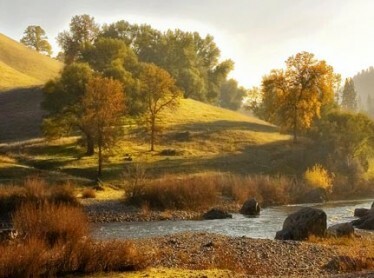 The North and Middle forks of the American River flow west through the scenic canyons of the central Sierra Nevada to its confluence with the Sacramento River in California’s capital city. 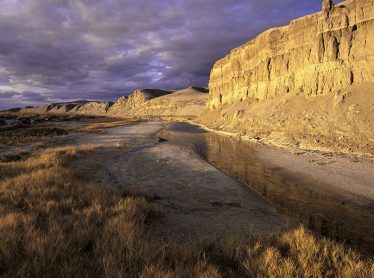 The river’s spacious canyons include nationally significant cultural and natural features that draw visitors from all over the world. We are proud that one of Mother Lode’s founding Board members, Tony DiRiggi, also serves with PARC and was responsible for editing and revising its most recent version of its American River Guide Book. Contributions are tax deductible and participation in the activities of PARC are vital to raising public awareness. TIES honored the Mother Lode River Center in October of 2008 by selecting Scott Underwood as a presenter in the Green Operations and Technology Track, Conservation Section at their Ecotourism and Sustainable Tourism Conference in Vancouver, British Columbia. The River Center was recognized for achieving decreases in carbon emissions through green technologies and its successful advocacy of conservation through education and political action in support of California rivers. TIES is a vigorous nonprofit organization supporting responsible tourism worldwide which deserves our continuing support for its educational and advocacy activities. Contributions are tax deductible. The voice of California’s rivers. SYRCL unites the community to protect and restore the Yuba River. Preserving rivers and land for life. An Auburn-based grassroots educational group dedicated to the preservation of the wilderness, recreational, cultural, and historical resources of the North and Middle Forks of the American River and its canyons for all to responsibly care for and enjoy. 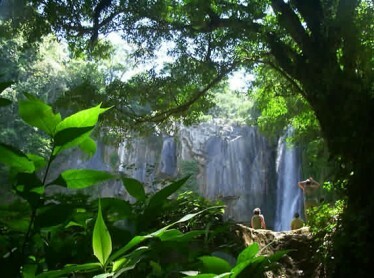 Uniting conservation, communities and sustainable travel.